- Tom Bell, aged 21, was shot dead at the Maple Tree pub on the Woodfield Plantation estate in Balby, at 8.45pm on Thursday, January 17. - A gun was fired into the pub through the windows and Tom was shot in his chest and abdomen. - The family pub was busy for its weekly quiz night but Tom was the only customer injured. - Detectives believe he was shot in a ‘targeted’ attack but possible motives have not yet been disclosed by detectives investigating the incident. - Emergency first aid was administered at the pub and Tom was rushed to hospital but could not be saved. - Tom was a professional boxer who won all six of his bouts. - He was a sparring partner for Sheffield-based boxer Charlie Edwards, who won the WBC flyweight title last month, and credited Tom as a ‘massive part ‘ of his world title win. - One of Tom’s last Tweets, posted on January 5, revealed that he spent time in prison last year but he was back training again. - Tributes have poured in since his death, with his girlfriend Chloe Wright among those to have spoken of their love for him. She described him as her ‘one and true love’. - A sea of floral tributes has been left outside the pub, with bouquets still being left on a daily basis. Photographs, balloons and candles have also been placed there. - The day after his death crowds of friends and relatives gathered outside the pub to console each other and pay their respects to Tom. - On Saturday, friends and relatives took part in a ‘Justice Walk’ calling for an end to violence in Doncaster. They met at Tom’s former amateur gym – the Doncaster Plant Works Amateur Boxing Club in Hexthorpe – and walked to the crime scene. - Three arrests have been made so far over the murder, with two men, aged 28 and 29, being held on suspicion of murder. A 21-year-old woman arrested on suspicion of assisting an offender has been released under investigation. 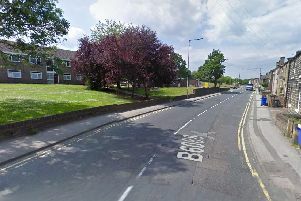 - A white BMW 1 Series was found just off White Cross Lane, Doncaster, near the M18 motorway, the day after the murder. Detectives believe it was connected to the murder. Forensic work is being carried out on the vehicle. - The Maple Tree pub was sealed off and under police guard until Sunday as police officers carried out enquiries at the scene and forensic experts examined scene of the shooting. The cordon has been removed but the pub remains closed. - An inquest into Tom’s death is to be opened today. - Thousands of pounds have been raised for a memorial bench and funeral costs, with a number of events, including a fundraising boxing night, still planned. - Anyone with information should call South Yorkshire Police on 101 or Crimestoppers, anonymously, on 0800 555111. Quote incident number 796 of January 17.